Whoo-Hoo! Our Customer of the Week this week has some great timing! Jill came to Eye Spy during our Anne et Valentin trunk show and fell in love with this purple frame from the Anne et Valentin Factory series. Anne et Valentin has the coolest inspiration! 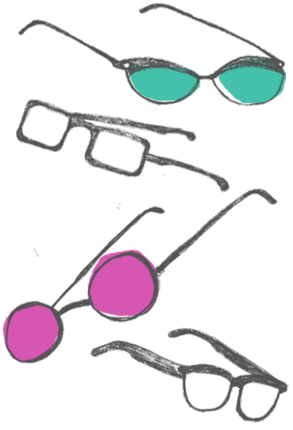 Their Factory series of frames were inspired by Andy Warhol (hence: Factory). All of the frames are polished and then re-shaped to give the edges and the temples a rough edge. Utilizing the spirit of Warhol’s Factory, this series of frames has an extra spark of personality and feel like a revelation every time they’re worn! So you can see, Jill made a pretty awesome choice with this frame! How could we not crown her our CUSTOMER OF THE WEEK?! !